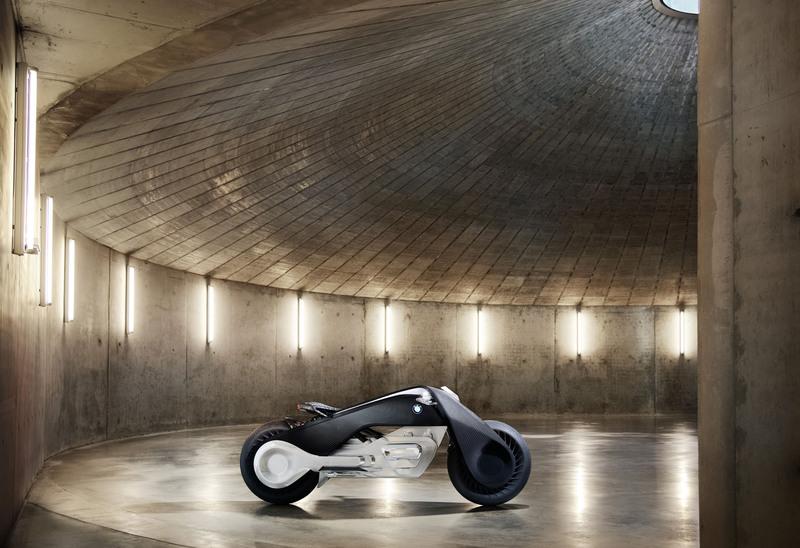 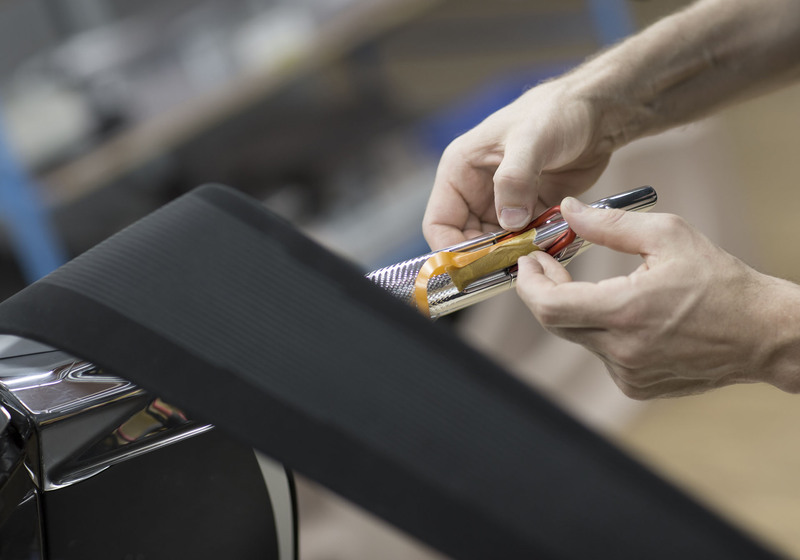 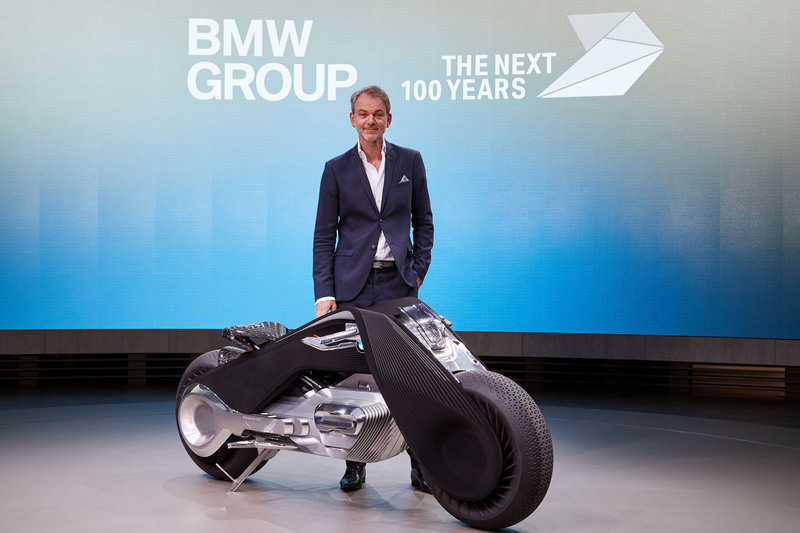 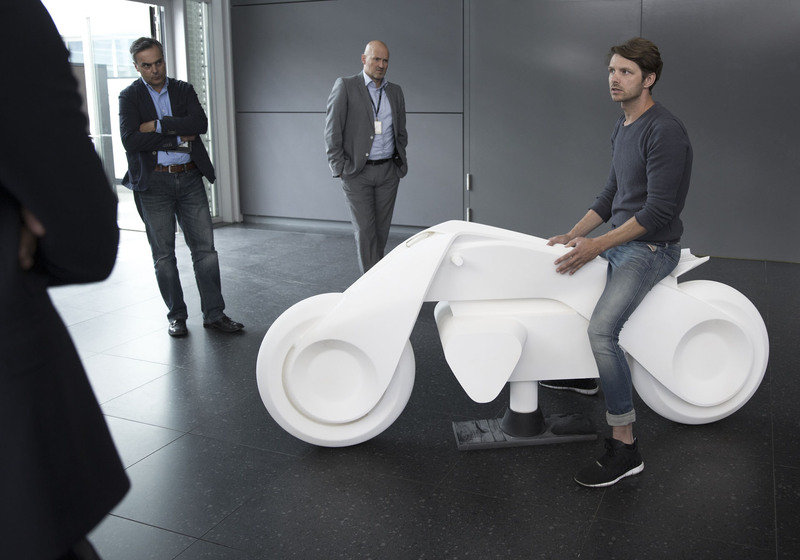 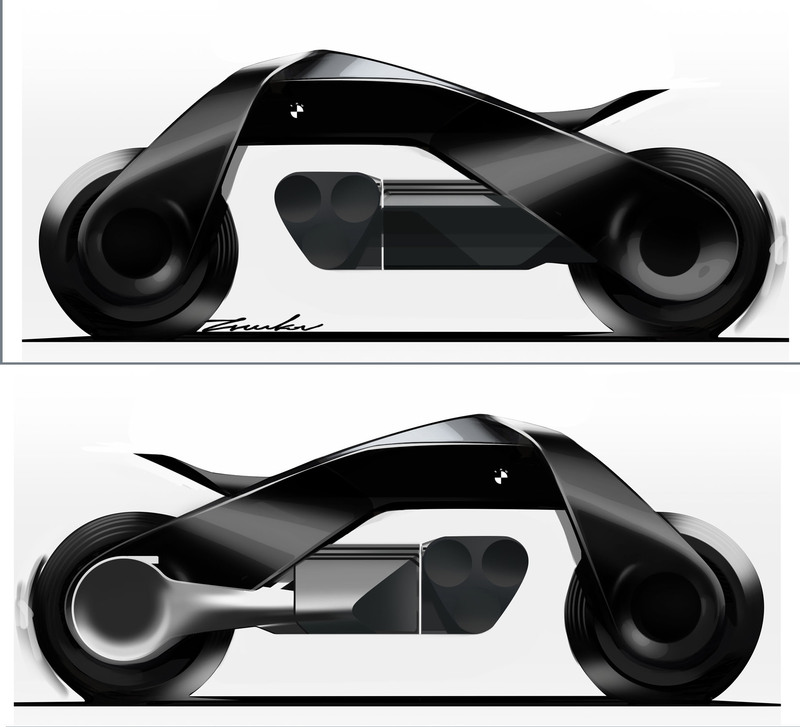 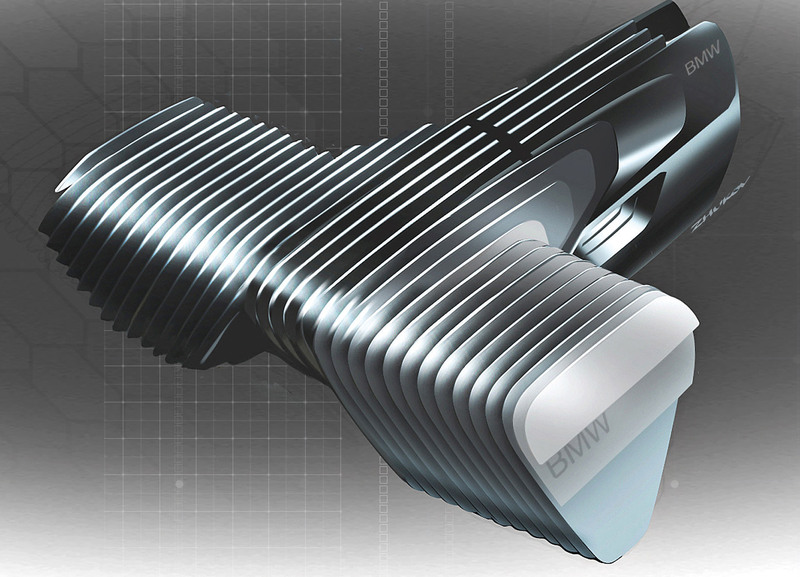 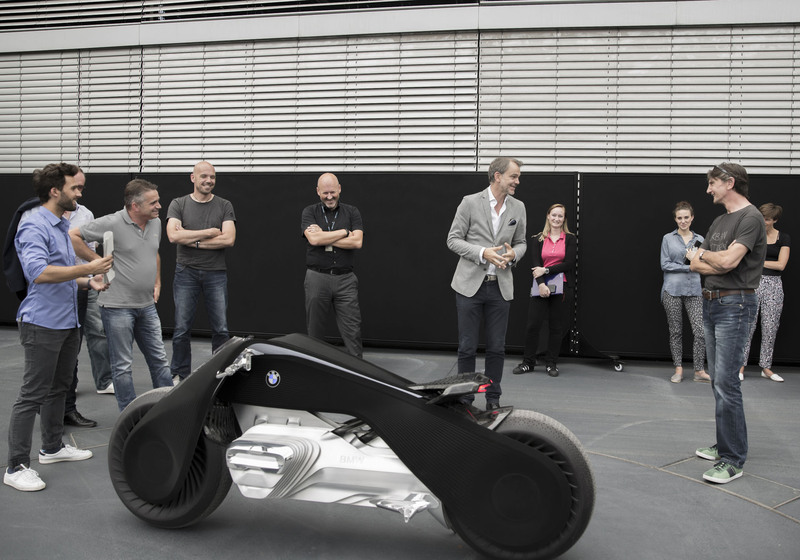 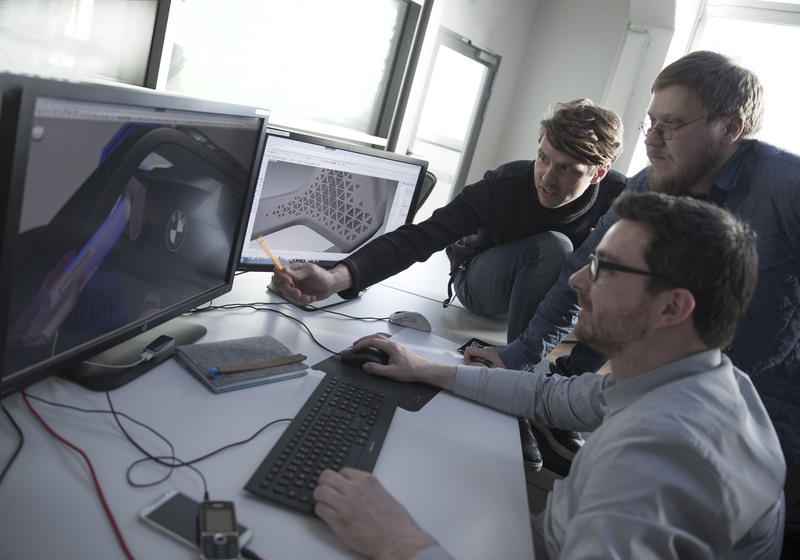 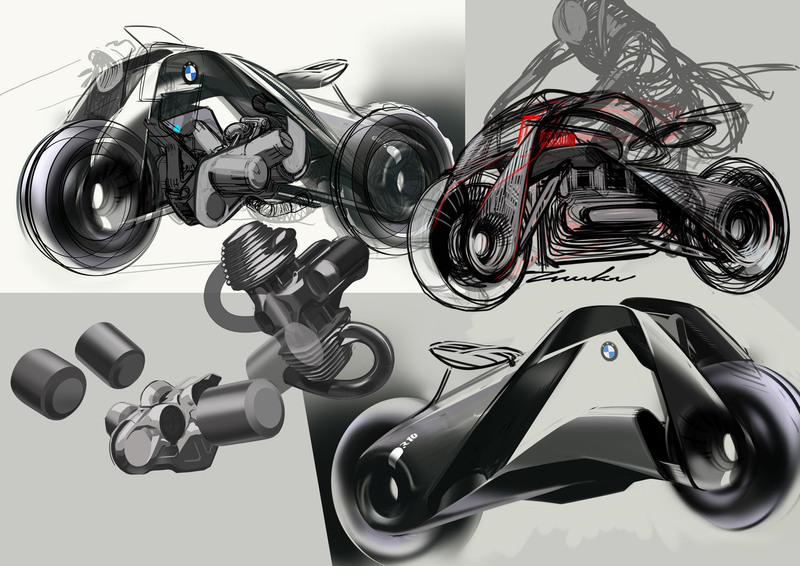 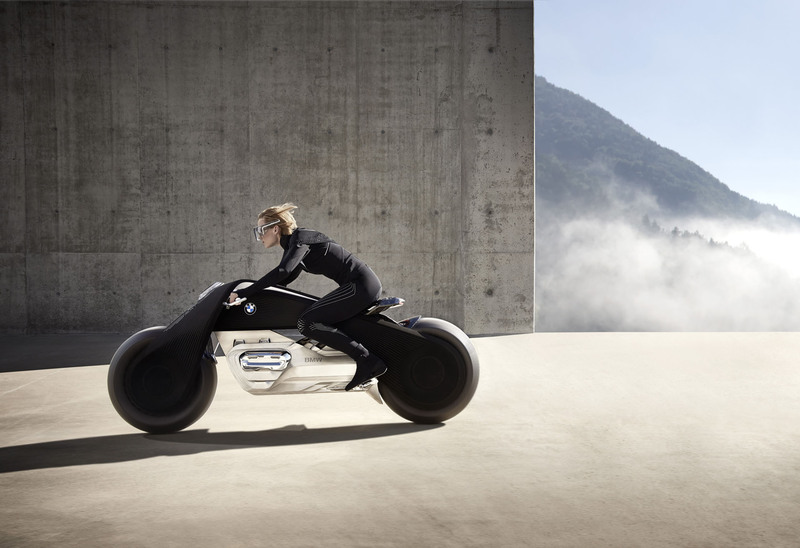 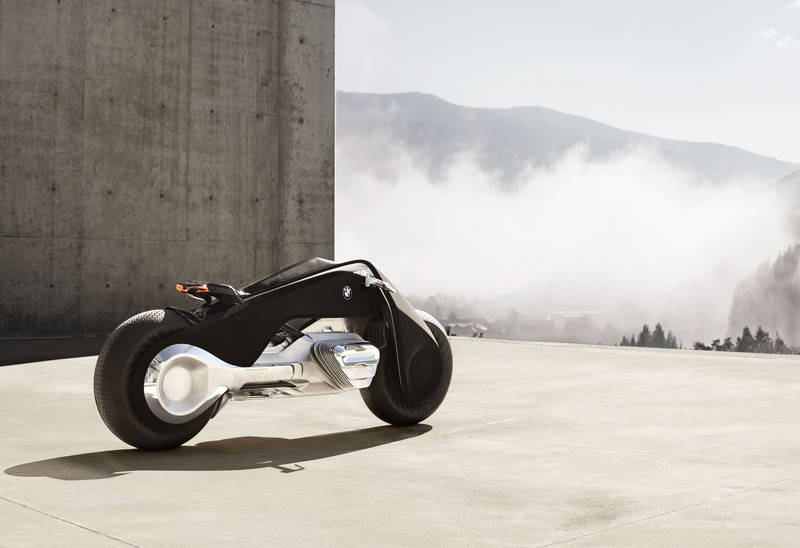 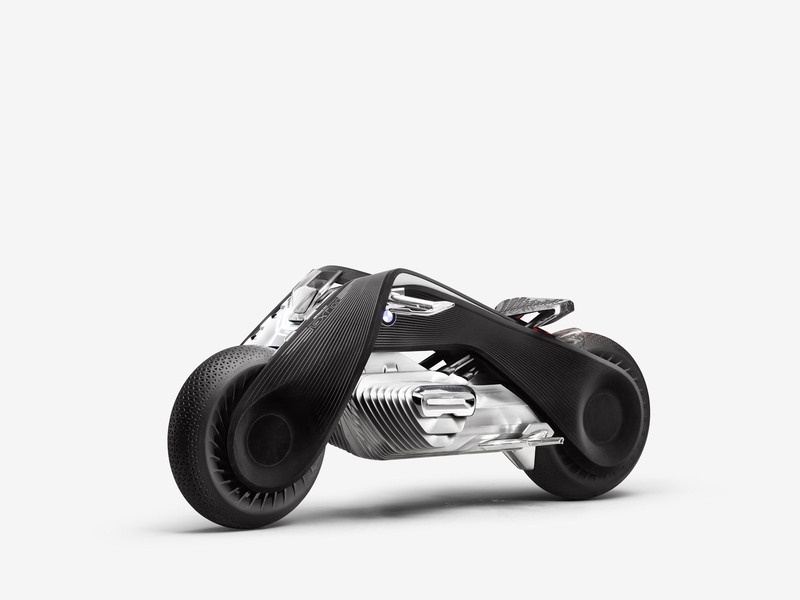 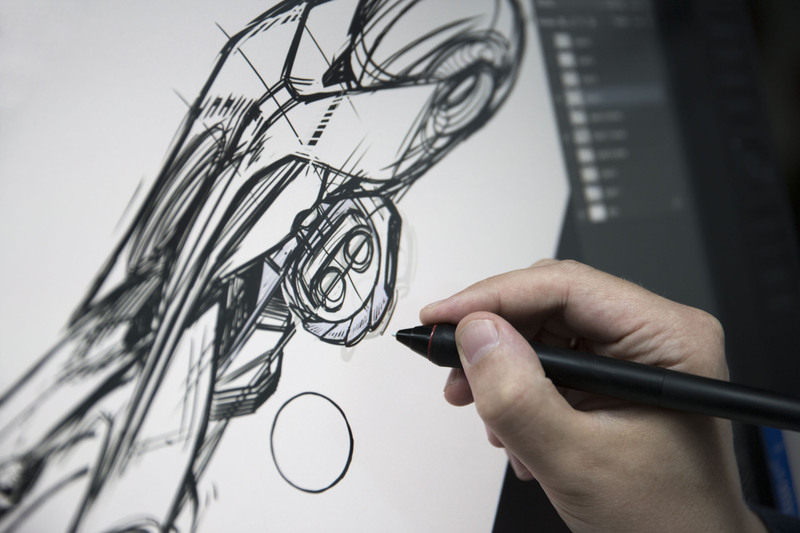 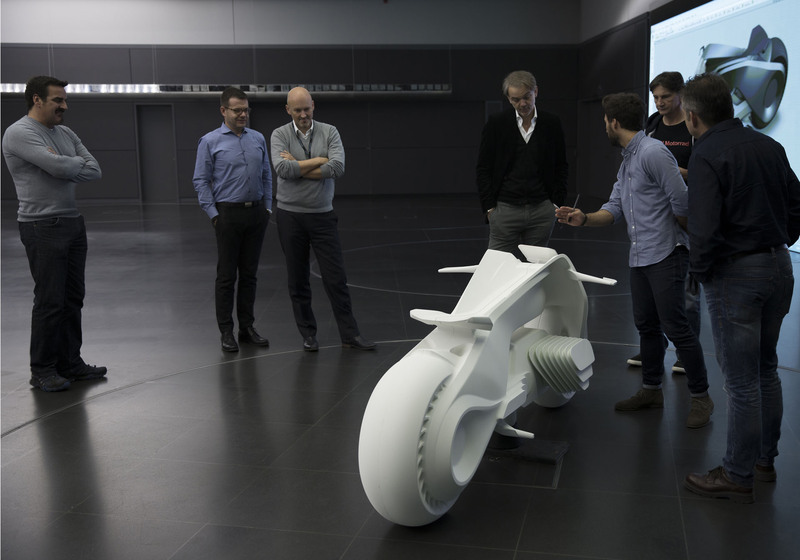 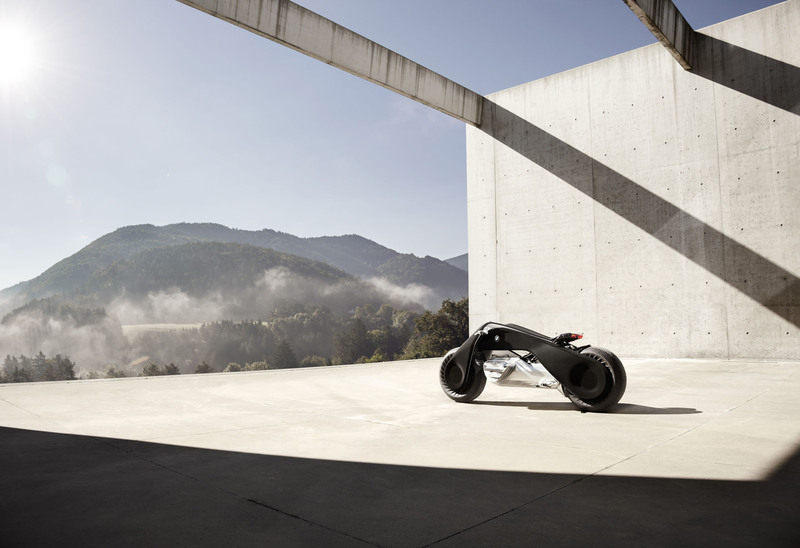 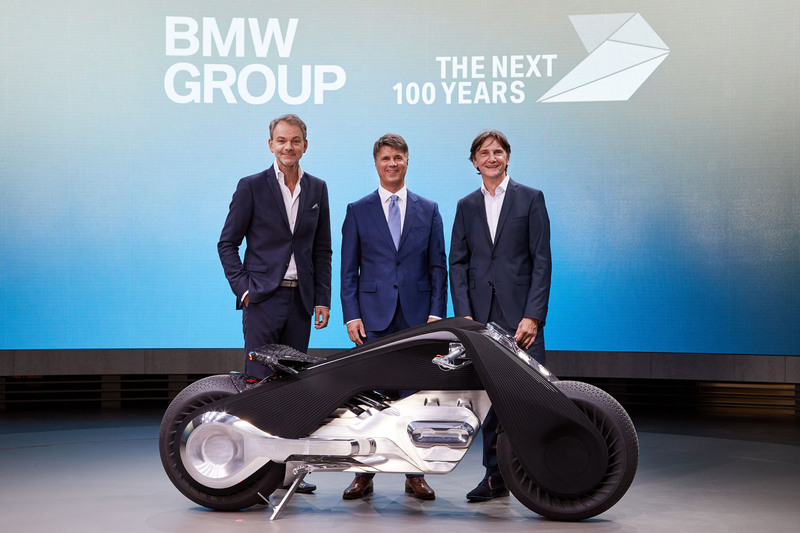 In 2016, its centenary year, the BMW Group is looking further into the future than ever before and developing a series of Vision Vehicles to address people’s mobility needs in about three decades from now. 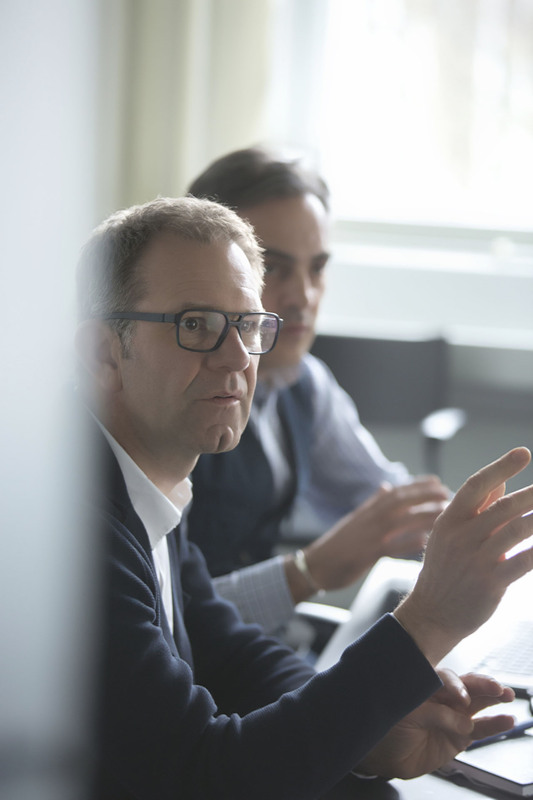 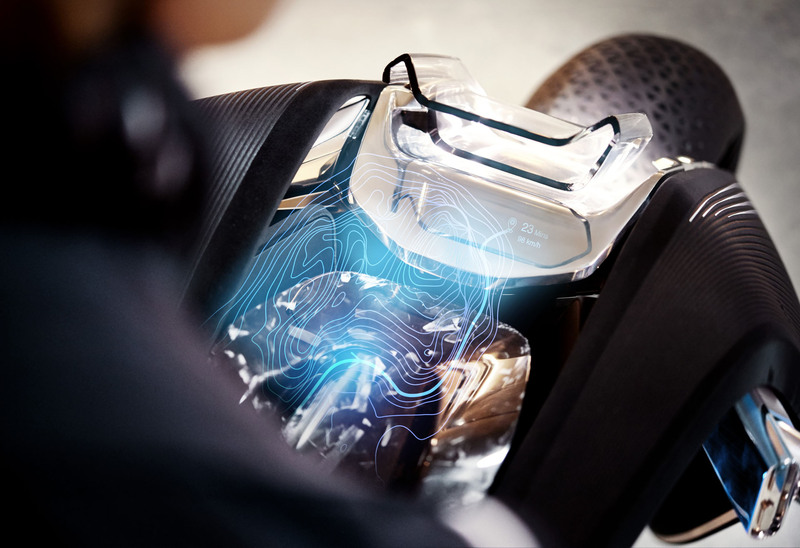 Its solutions are based on the assumption that mobility is set to become increasingly multifaceted and connected. 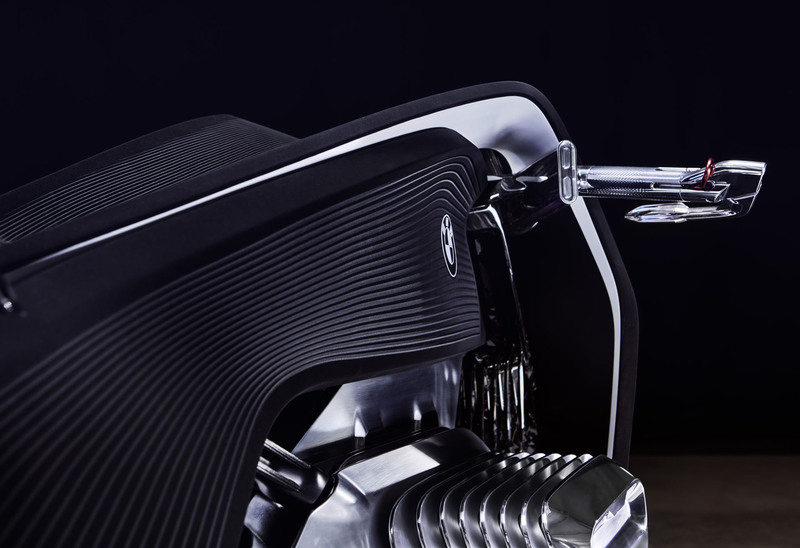 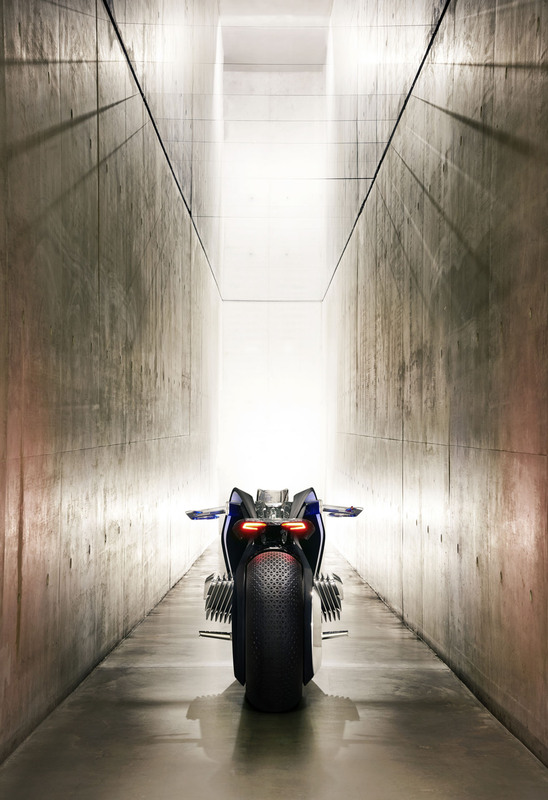 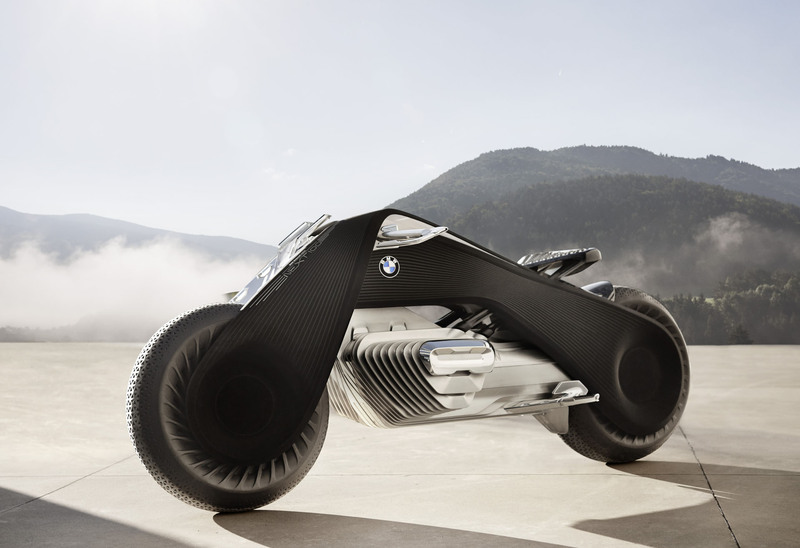 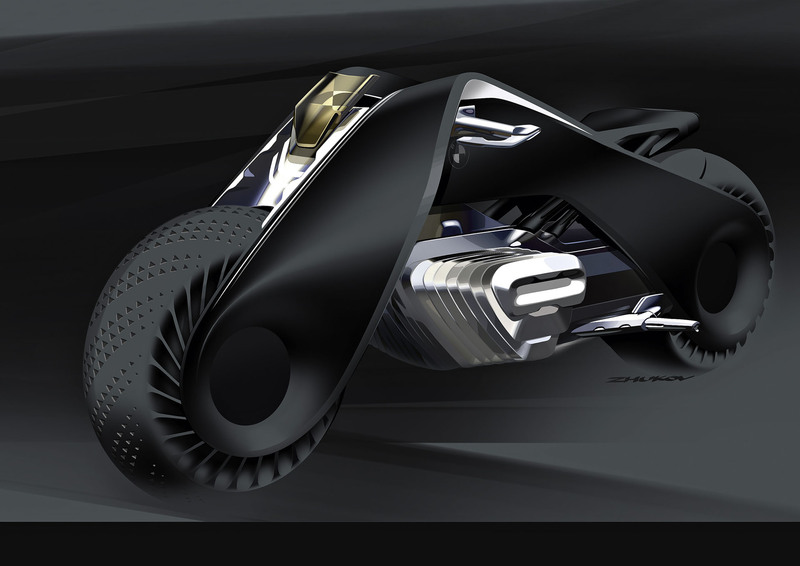 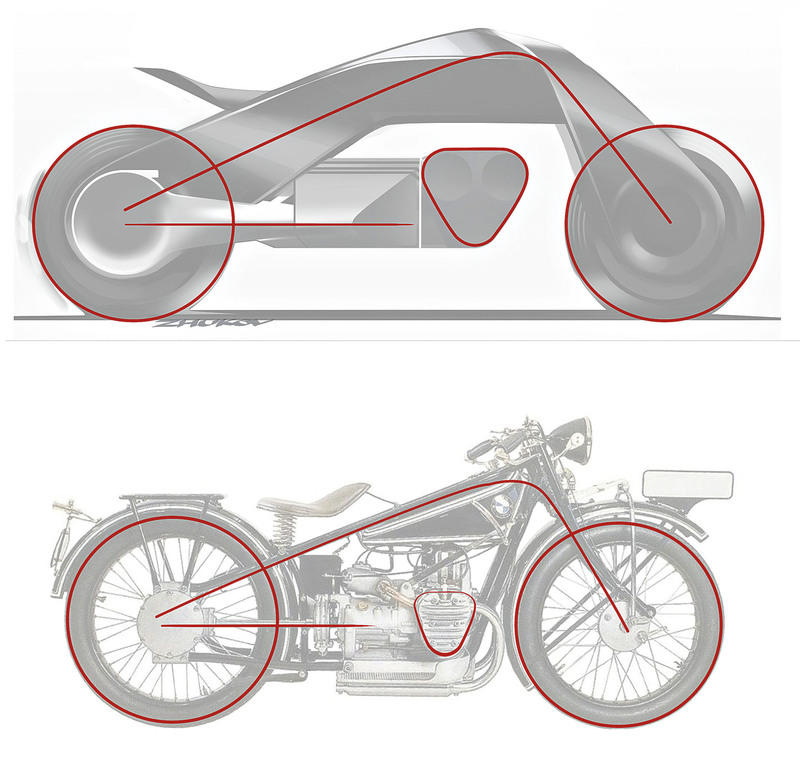 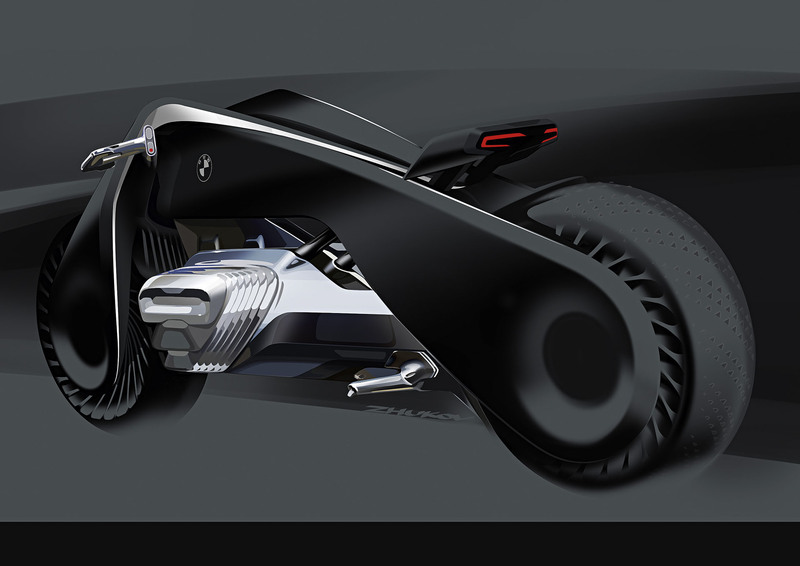 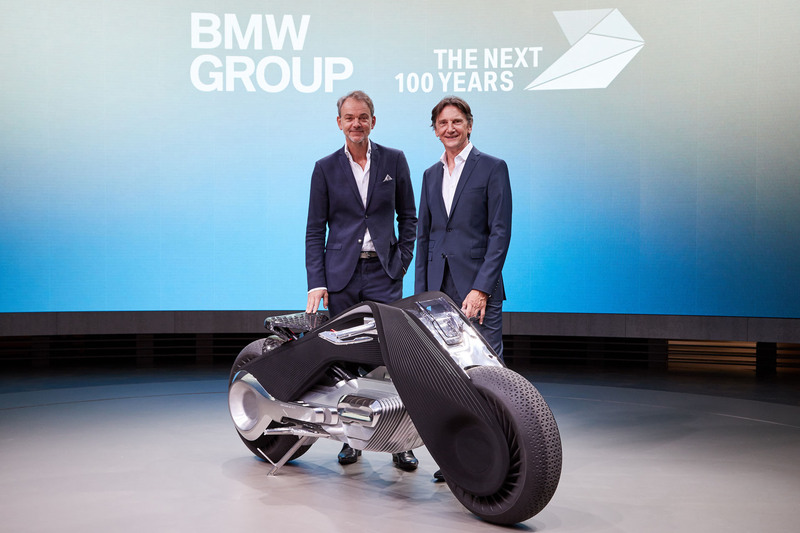 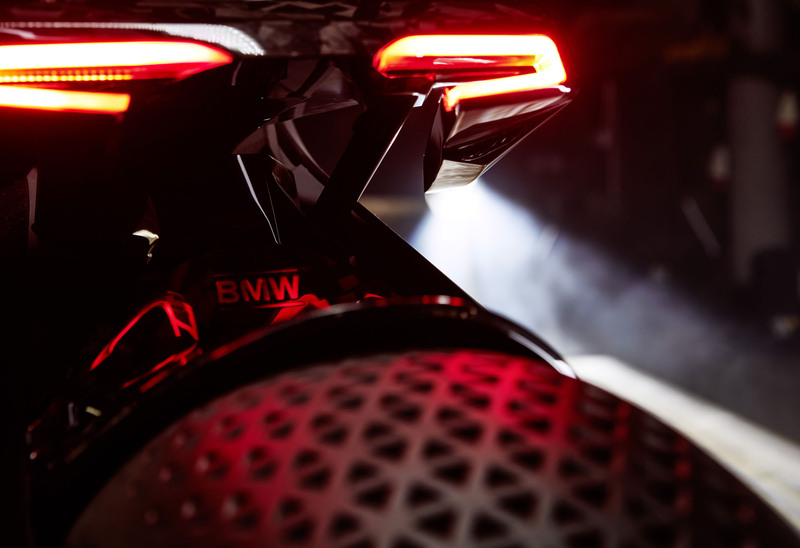 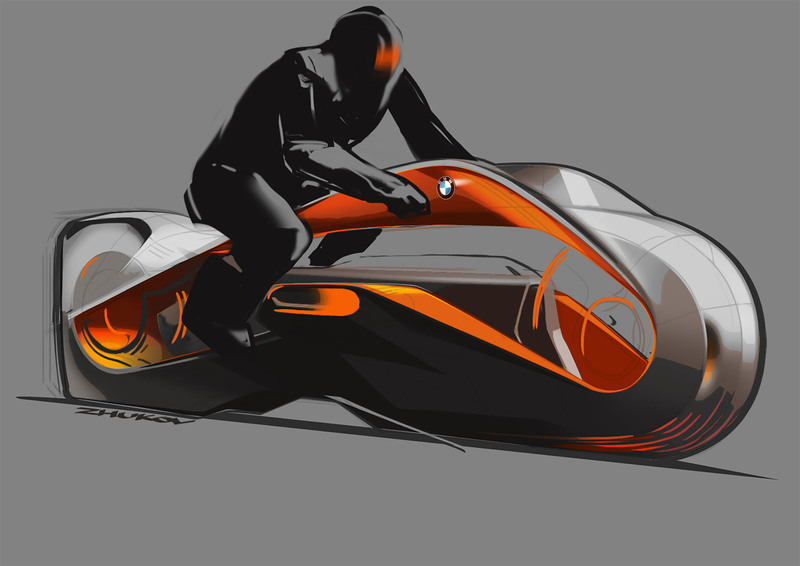 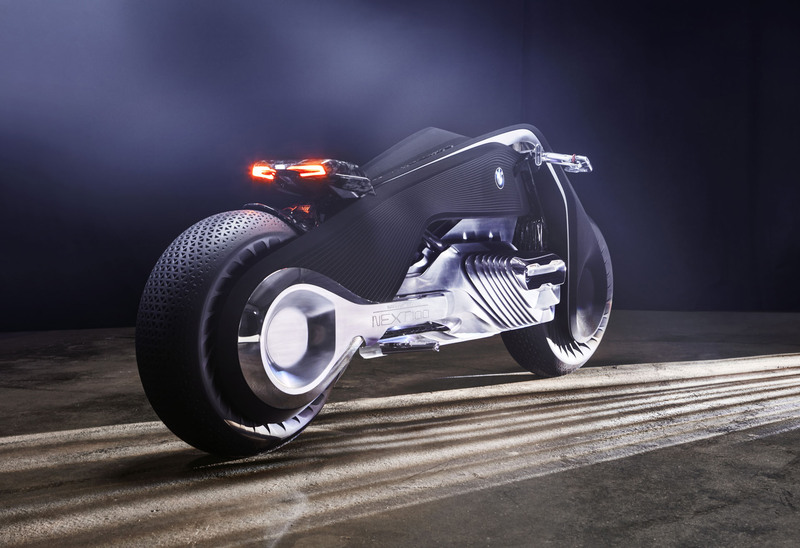 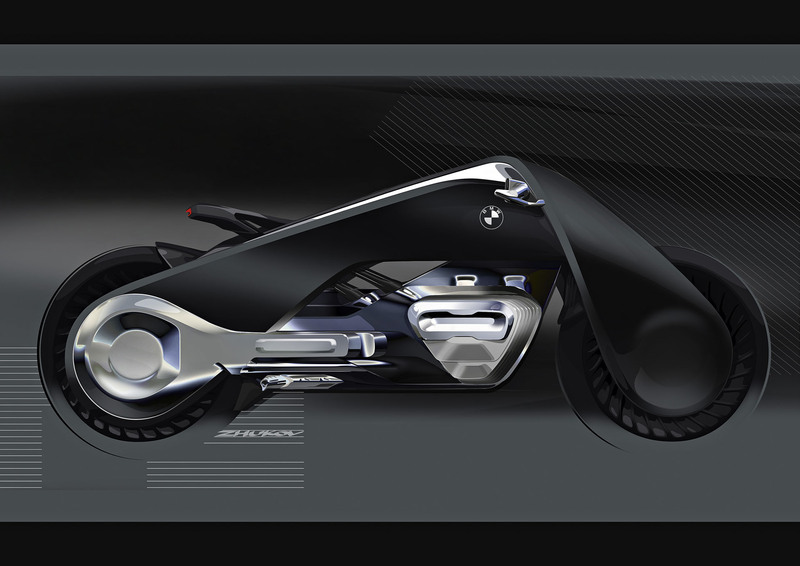 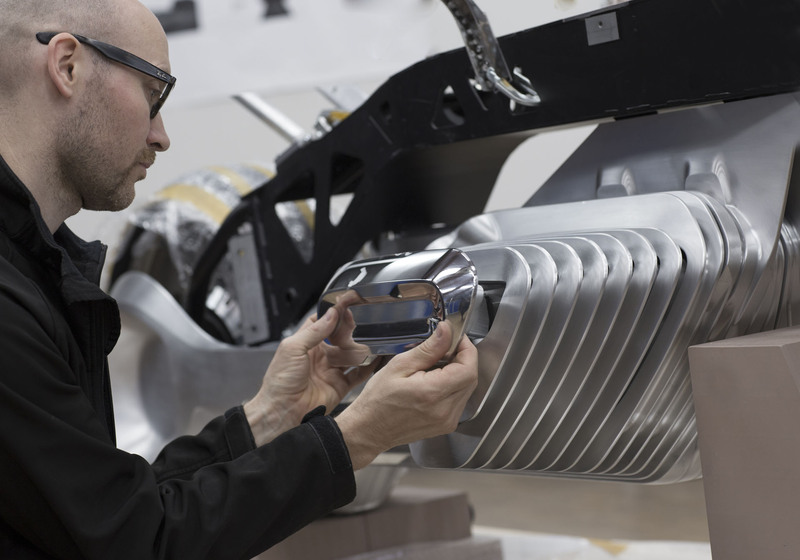 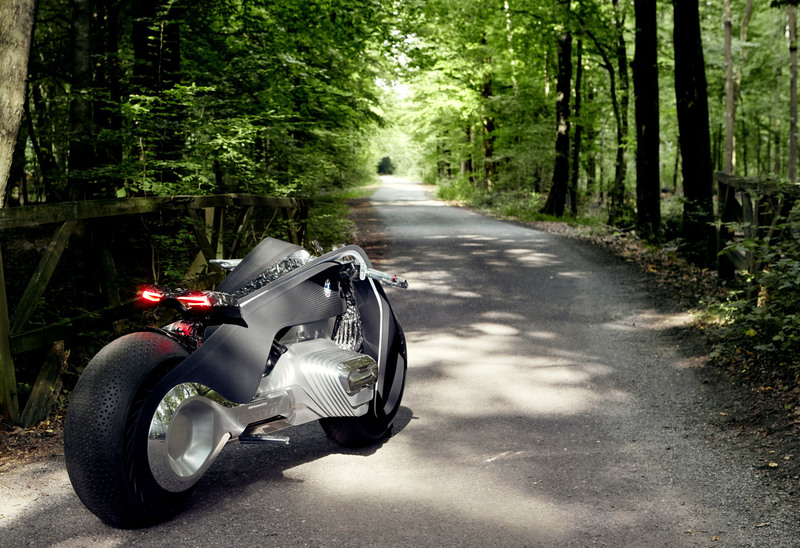 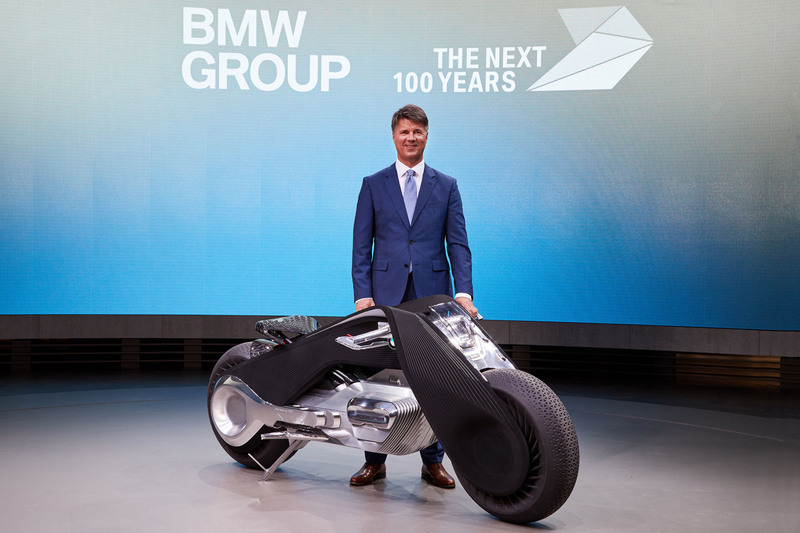 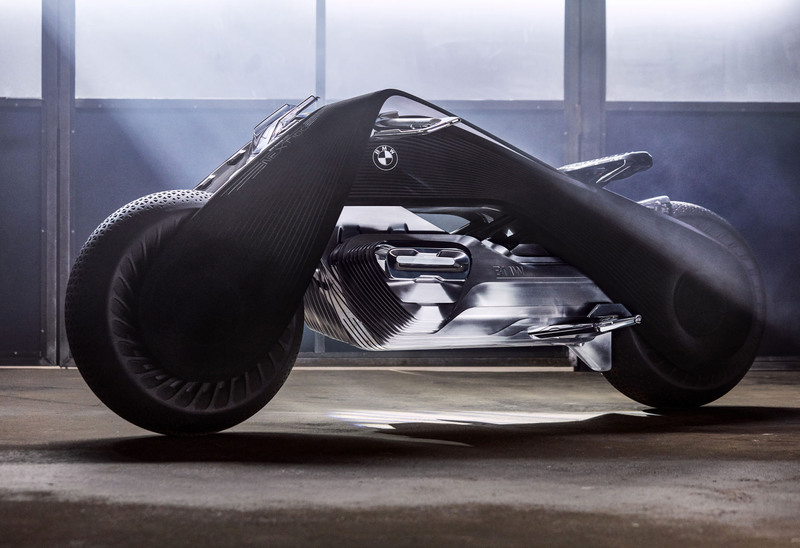 Following the BMW, MINI and Rolls-Royce Vision Vehicles, the BMW Group has now revealed its next progressive solution, this time for the world of motorcycling: the BMW Motorrad VISION NEXT 100. 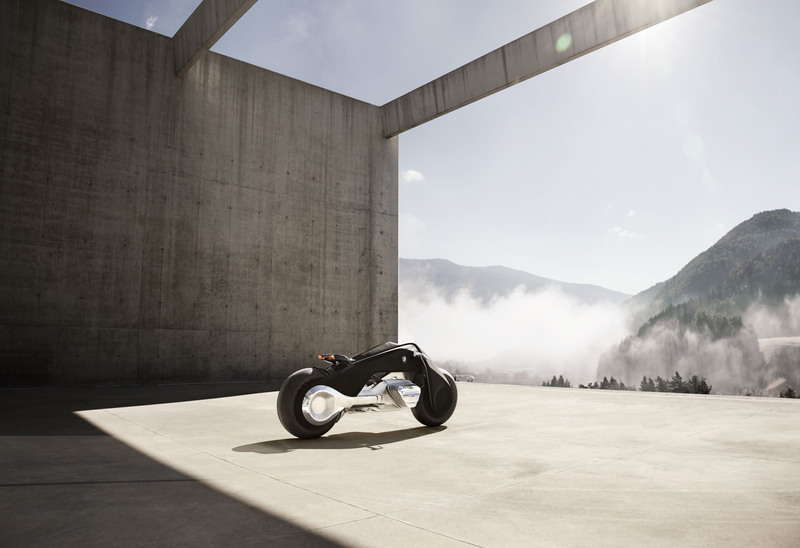 It was unveiled on 11 October at the “Iconic Impulses. 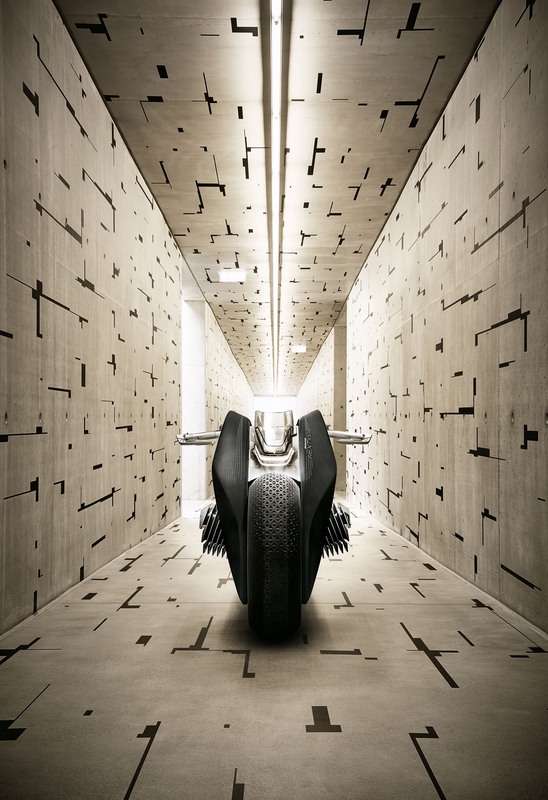 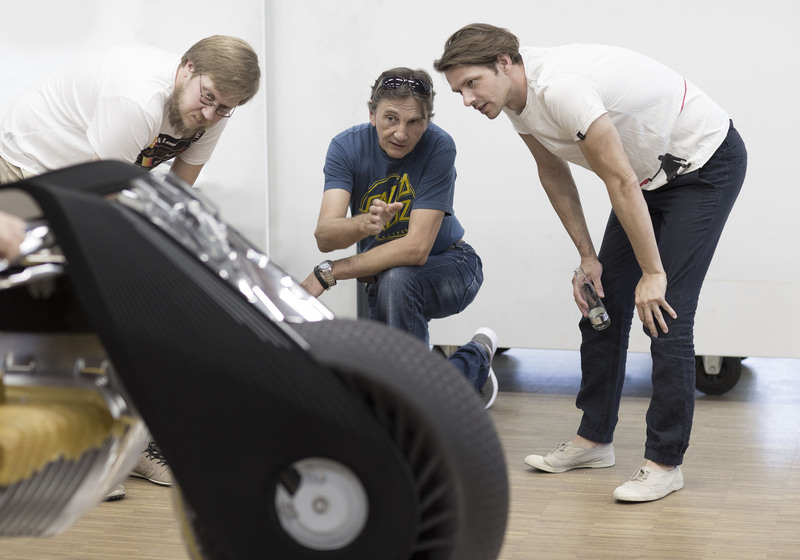 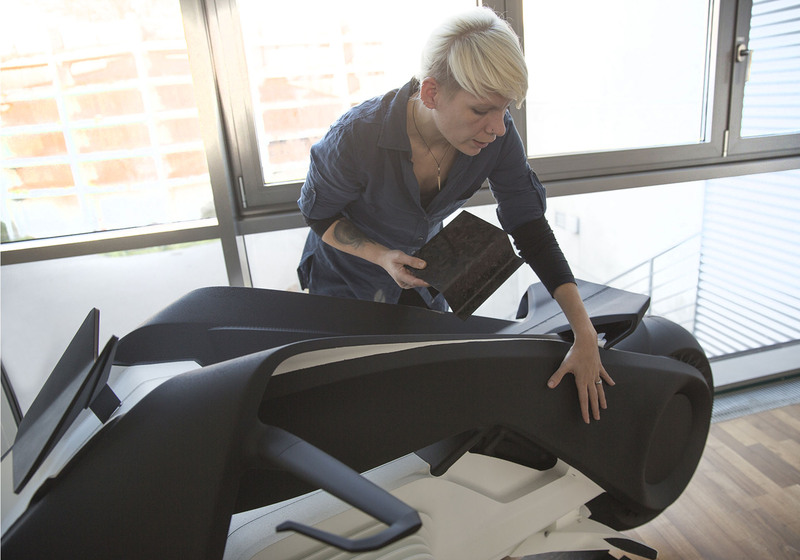 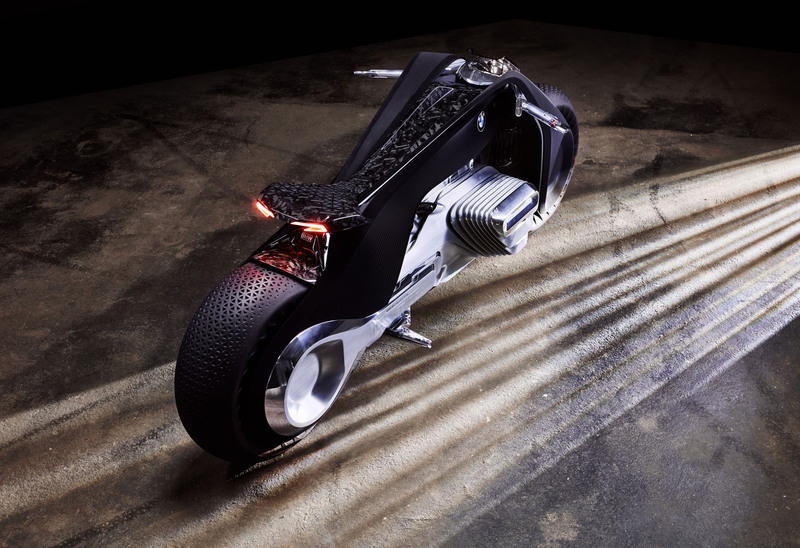 The BMW Group Future Experience” exhibition in Los Angeles. 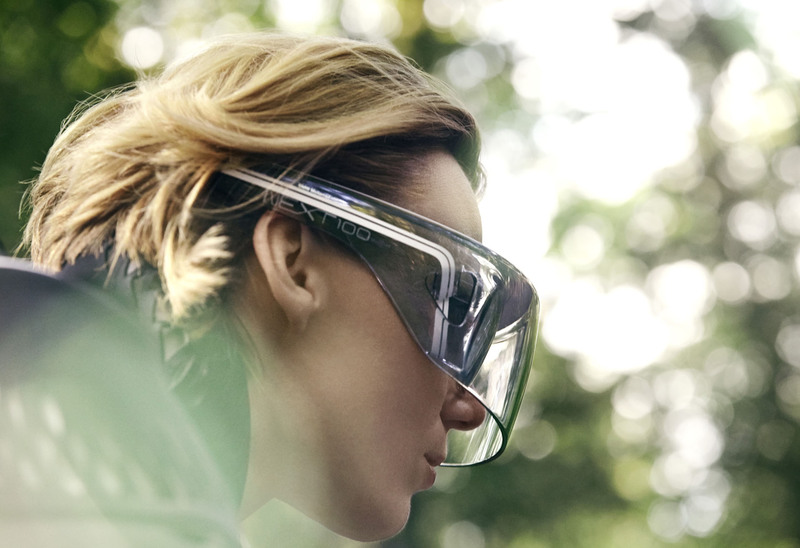 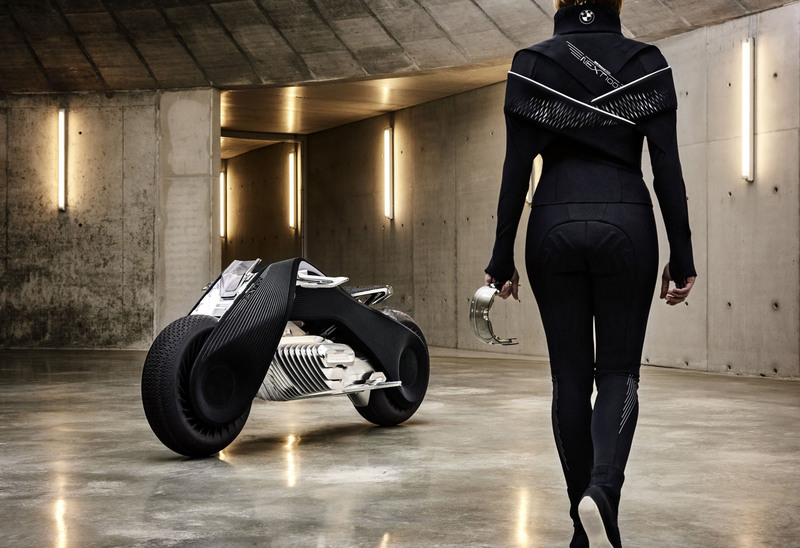 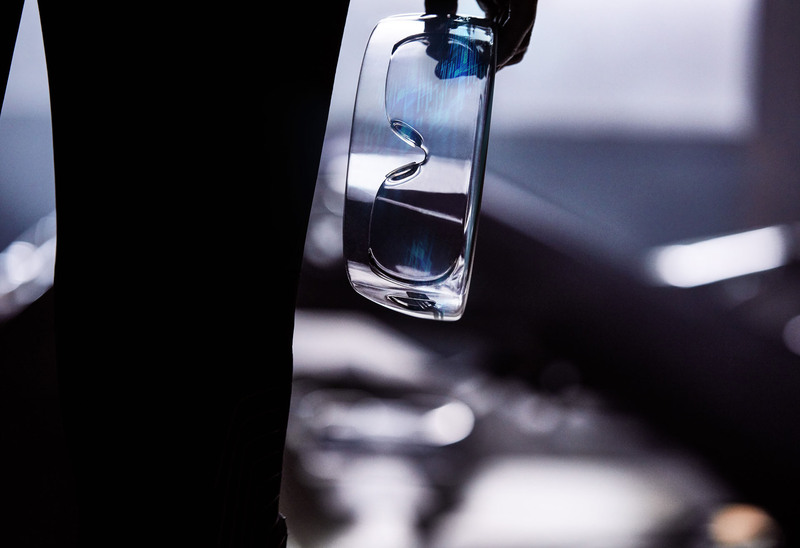 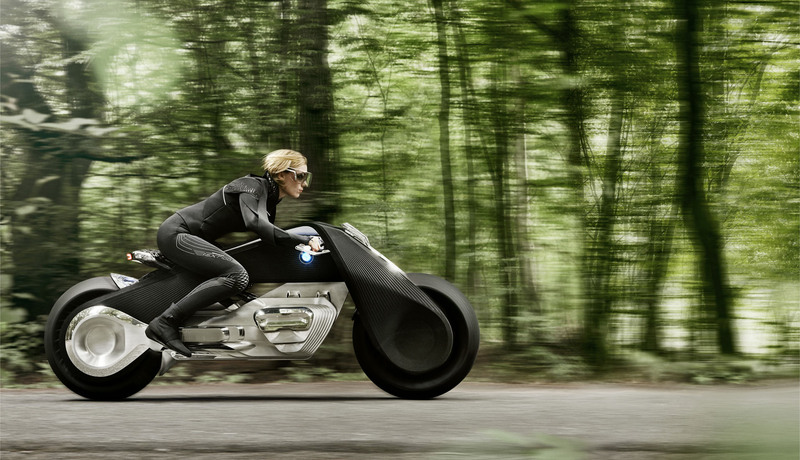 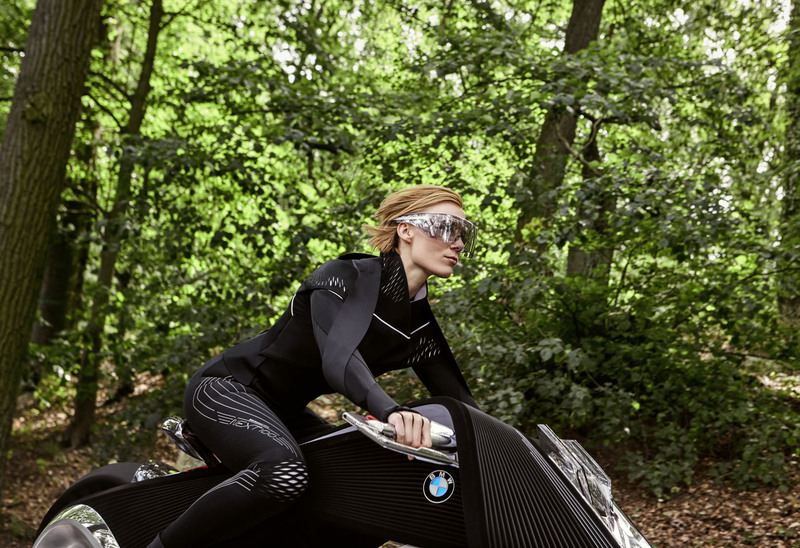 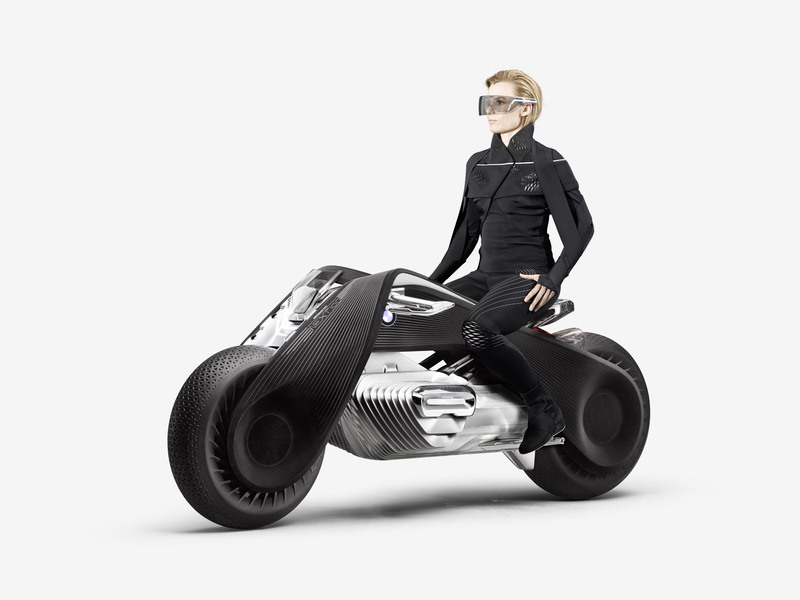 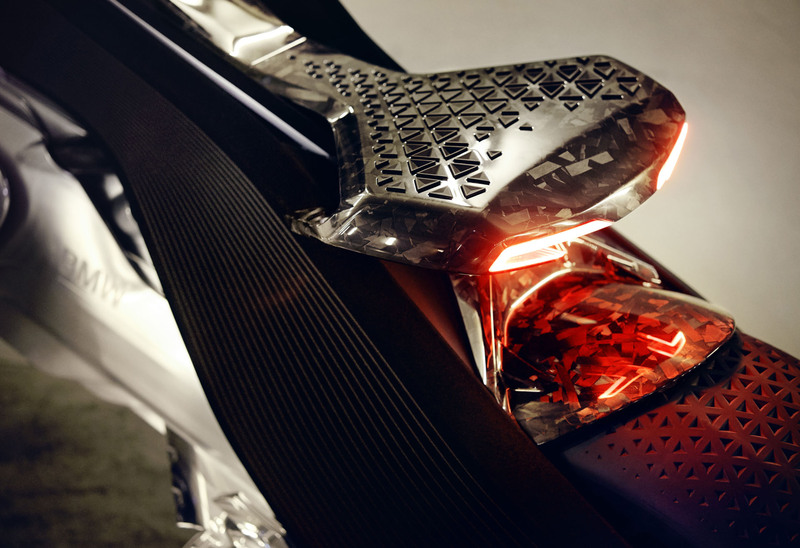 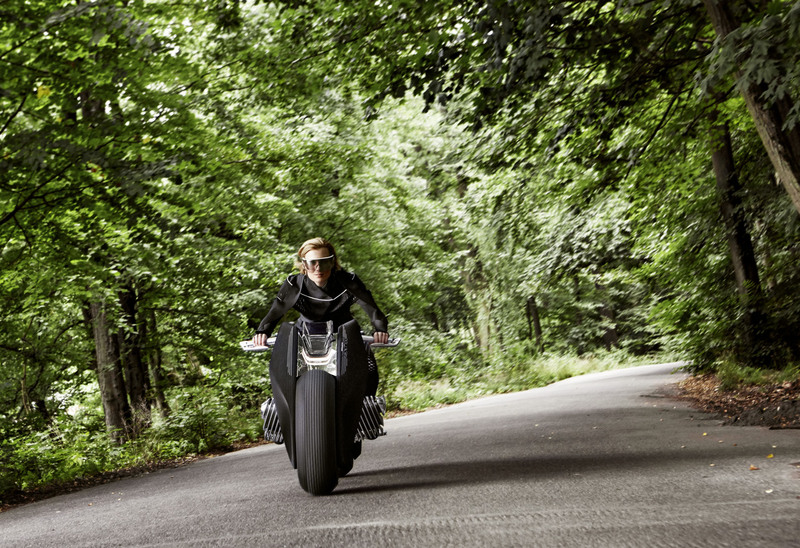 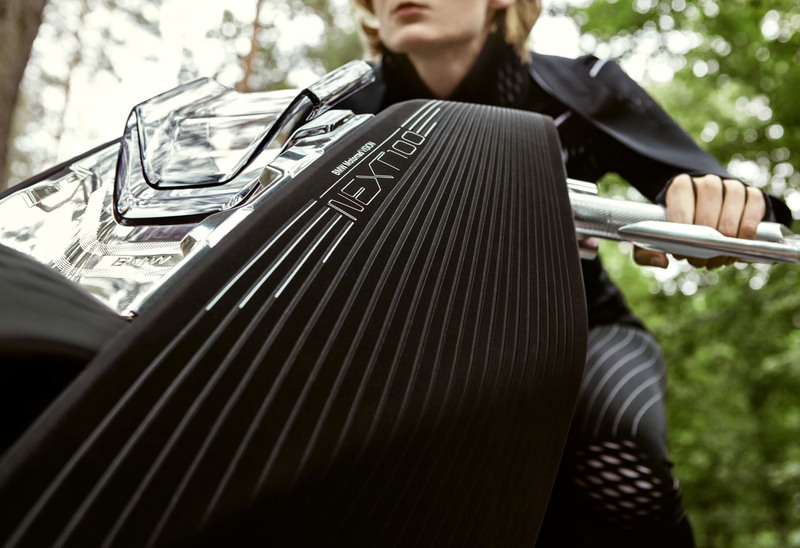 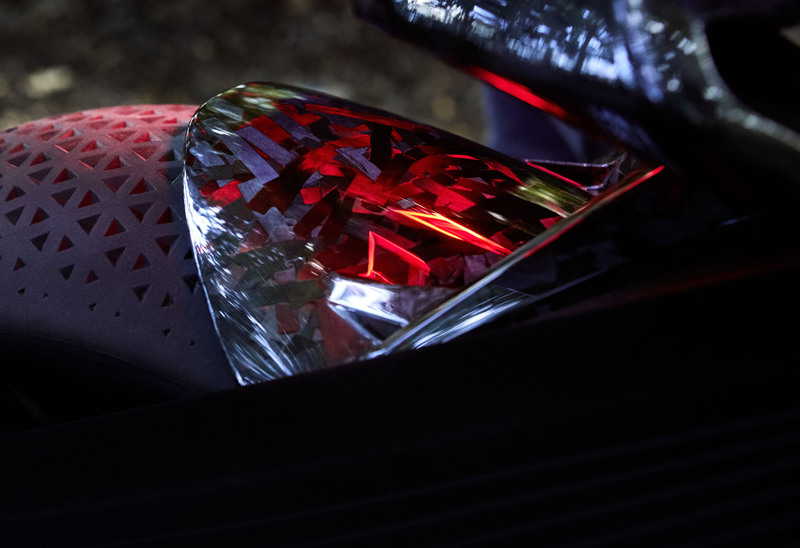 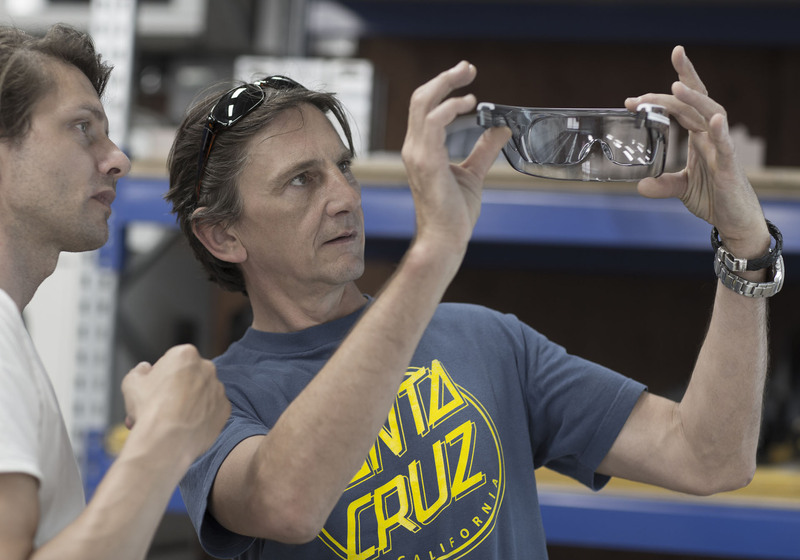 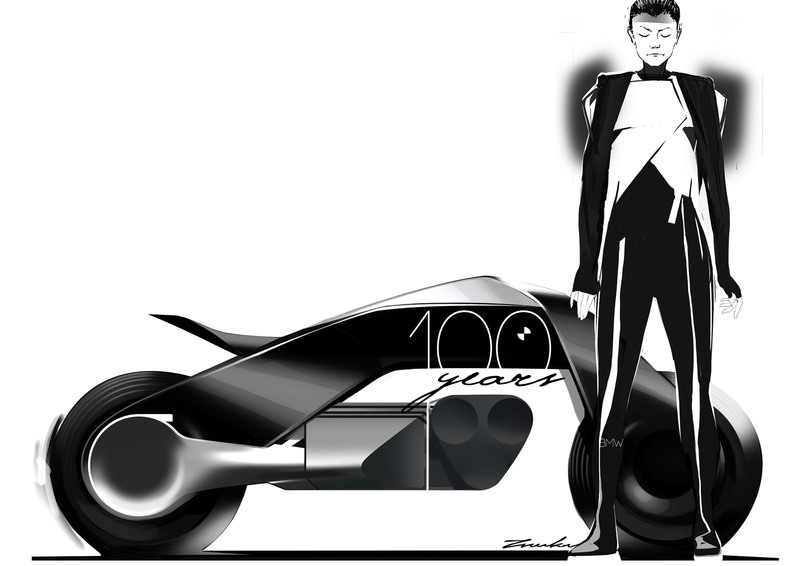 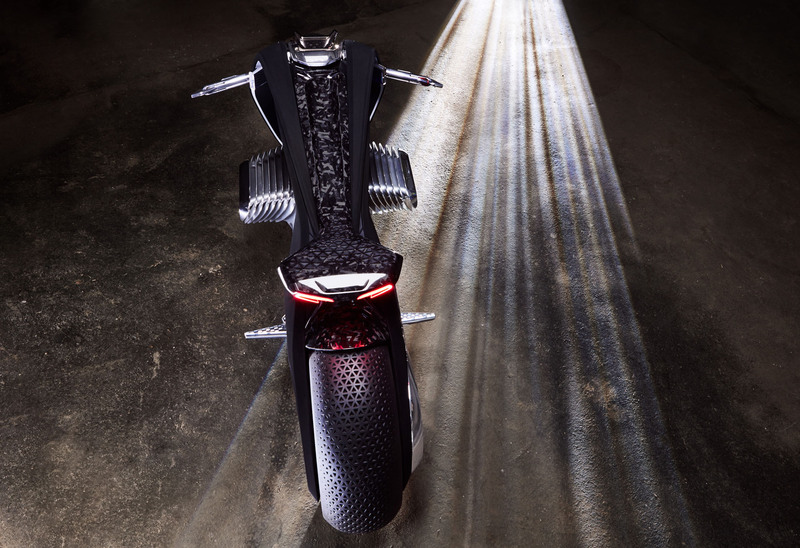 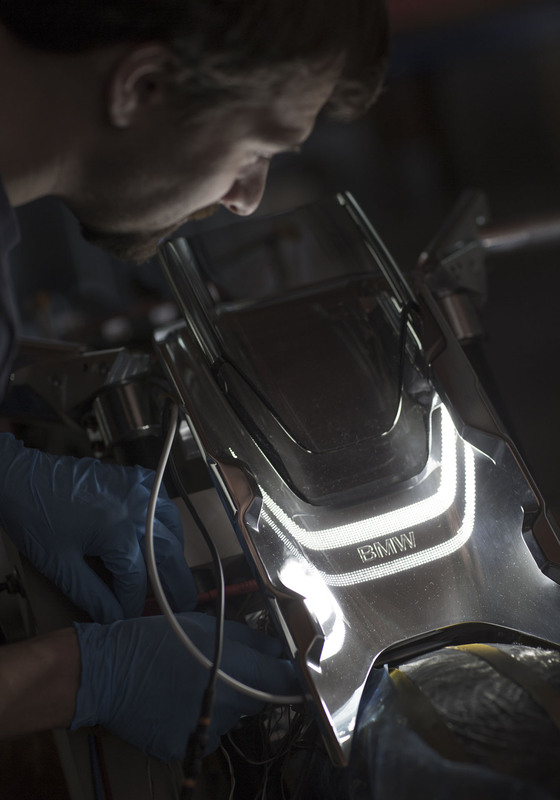 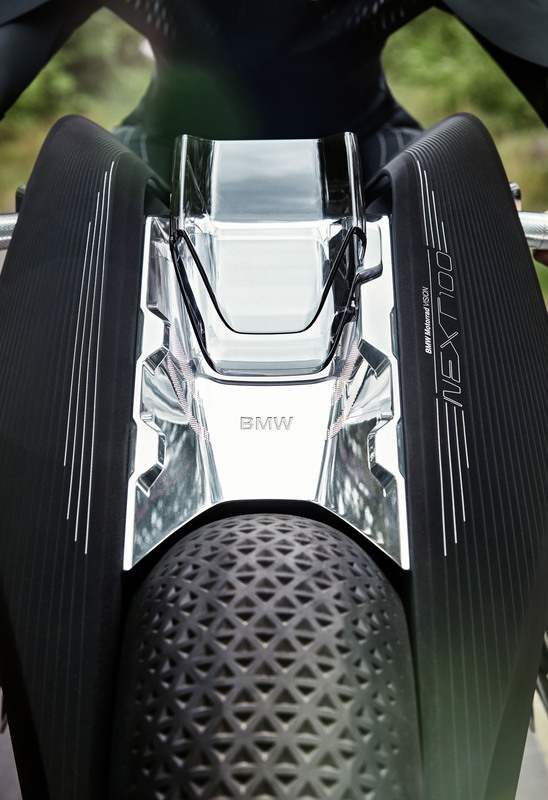 The rider’s gear accompanying the BMW Motorrad VISION NEXT 100 is integral to the unique overall experience. 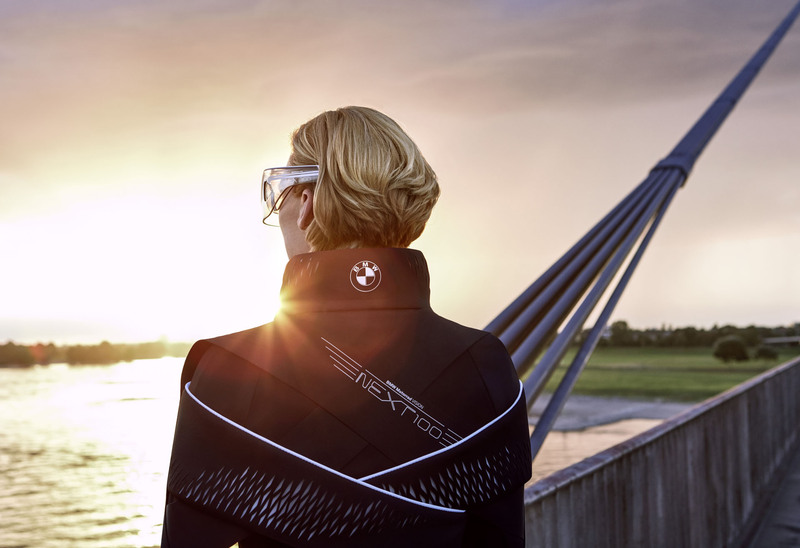 In classic black and white, the airy suit enhances the sense of freedom and is both fashion statement and weatherwear. 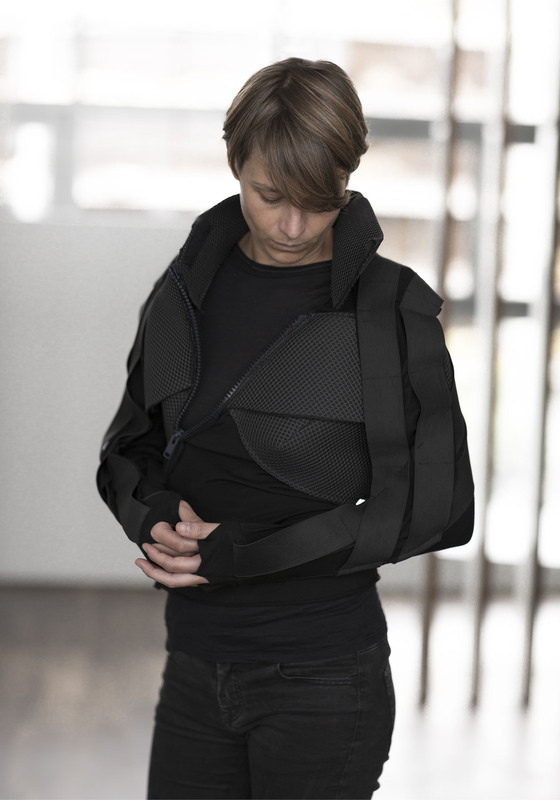 Depending on conditions, it warms or cools the user. 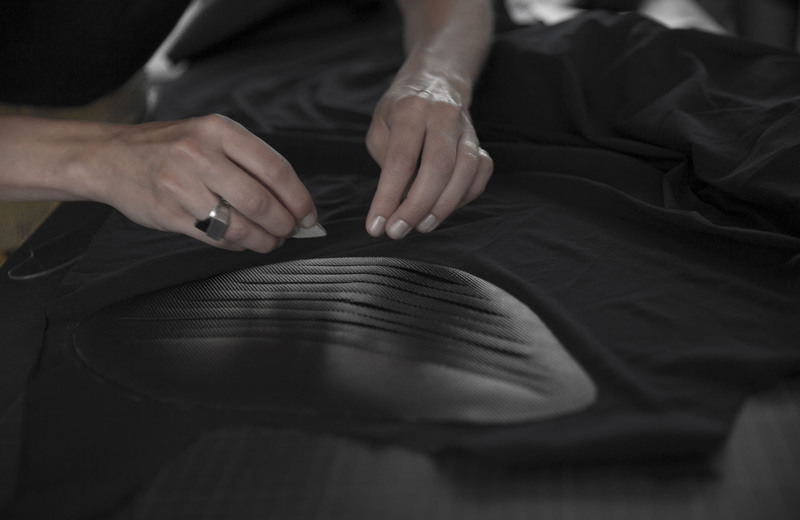 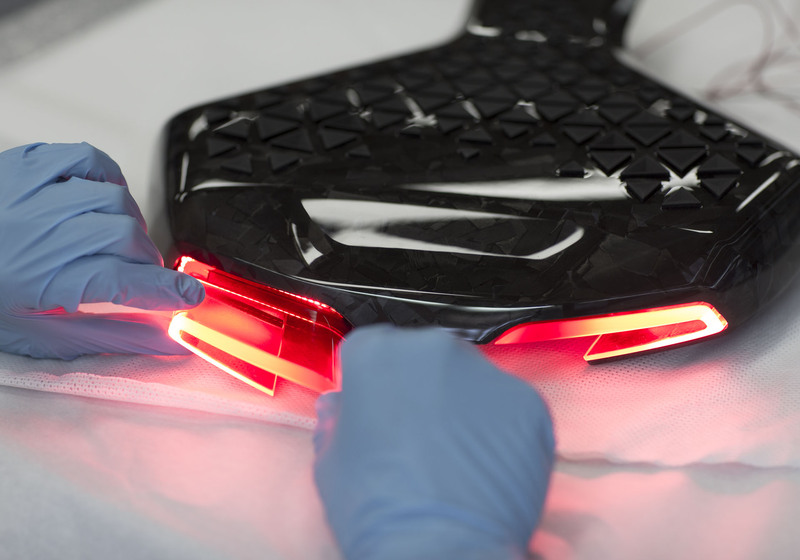 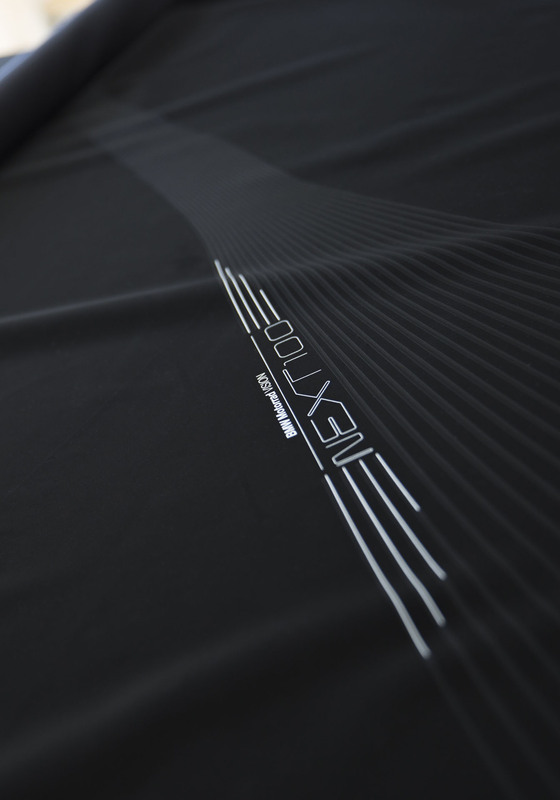 While the diagonal zipper across the chest is reminiscent of traditional motorcycle clothing, the flexible, banded structure of the suit and shoes is inspired by the muscle areas of the human body and provides body support and relief whenever needed.